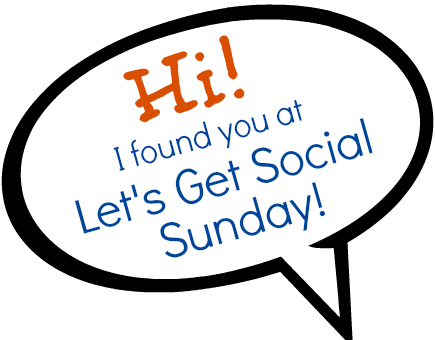 We are so glad to have you join us for this month's Let's Get Social Sunday! We get started on the first Sunday of every month, and party until the last day of that month at midnight. So you'll have all month to make new friends and gain more followers! We removed those extra steps of linking up all your social media sites and simplified the party. Just link up your blog and use that extra time to network with others by following their social sites that you find on their blogs! If you'd like, here's a little Let's Get Social Sunday button to grab and place somewhere on your sidebar or party page as a handy reminder about the next party! Hi Joy! Thank you so much to you and the ladies for hosting the party. Hope you have a happy Sunday and a great week! Love the way you simplified the party. Thanks so much for hosting. Happy Super Bowl day! Thanks for the great party:) So many awesome blogs!